Of Marilyn Monroe's many early films, one that deserves to be revisited is Howard Hawks' Monkey Business. In this madcap 1952 comedy, Marilyn – no longer an ingénue but not yet a star – played second fiddle to a baby chimpanzee as well as to the human leads, Cary Grant and Ginger Rogers, but she was both wide-eyedly endearing and arrestingly sensual in her short role – a combination that set the tone for the rest of her career. The movie never became part of the Marilyn cult and for that reason it's refreshing to watch today – a reminder that there was more to her than the scenes that have been so widely referenced and parodied over the decades: "Diamonds are a Girl's Best Friends", the skirt billowing up over the New York subway grating, the movie stills with the femme fatale posing languidly against the background of the Niagara Falls. In Monkey Business one can see the rough outline of the image that would make MM one of the icons of 20th century popular culture, without being overwhelmed by the image itself. Somehow, even the fact that the film is in black-and-white helps; it defies the gorgeous Technicolor poster stereotypes one normally associates with the actress. Here, it’s possible to see Marilyn as just another attractive young supporting actress, albeit one with that most elusive of qualities: it’s difficult to keep your eyes off her when she’s on screen, even when she’s sharing space with the great Cary Grant. The threadbare plot of Monkey Business involves a scientist trying to develop a "fountain of youth" potion. Marilyn, being forever young herself, wouldn't have needed it – she died at 36, quickly becoming one of the many celebrities whose mystique partly lies in the fact that we never saw them old and wrinkled, complaining curmudgeonly about how much things have changed since their day, muttering platitudes about “the pictures getting smaller”. On June 1 this year she would have turned 80, an idea that's as hard to process as, say, a pot-bellied, 65-year-old Jim Morrison croaking out verses from "An American Prayer" on the David Letterman Show in front of a bored young audience. Or an aged Madhubala being cajoled into playing a silly role in Dev Anand's latest ego project. Cruel as the thought might seem, Marilyn's iconic status probably hinges on her sad early exit. It's hard to imagine her sustaining her stardom past the mid-1960s. Hollywood became leaner and meaner as that decade progressed and despite her latter-day resolve to be taken seriously as an actress, and the Method-acting grit on view in her final film The Misfits, it's unlikely that she would have been able to effect a 180-degree turnaround in her screen image. Nor would it have been easy to simply vanish into oblivion. Greta Garbo managed it, but that was in a less celebrity-obsessed age, and besides Garbo really did "want to be alone". Marilyn probably wouldn't have had the willpower to drop out of sight for good. She was famously insecure, famously needed to be loved and sought after; chances are she would eventually have been sweet-talked out of retirement and made to parody her own screen image in some B-grade summer comedy – perhaps as Britney Spears's hep grandmom in a teen-movie turkey. 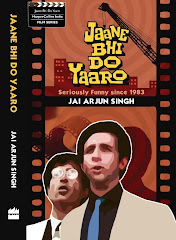 What better way to shatter the fond memories of millions of film buffs. 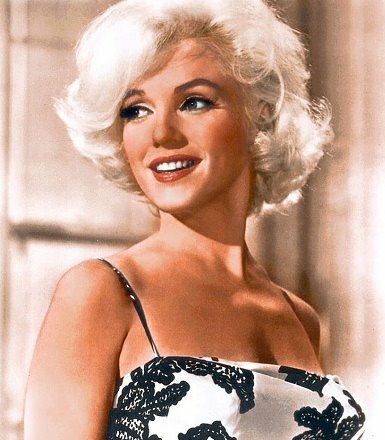 So happy birthday to Norma Jean, and may her star shine evermore – even as we allow that had this been a real birthday rather than a birth anniversary, the celebrations may have had to be muted. Billy Wilder's acerbic comedy with smashing performances by MM as singer Sugar Kane and by Jack Lemmon and Tony Curtis as murder witnesses in drag. A pox on those who thought Curtis looked hotter than Marilyn! Not a top-notch film but one that's worth seeing just for a demonstration of the unfathomable mysteries of Star Quality. 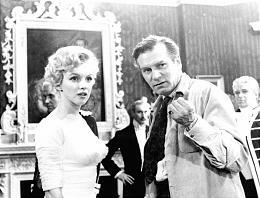 This was largely an ego project for director-actor Laurence Olivier, trying to show he could step out of Shakespeare mode and make a (relatively) contemporary film opposite a leading Hollywood actress. By all accounts Marilyn, though initially keen to work with one of the world’s most respected classical actors, felt very uncomfortable and out of place during the shooting. Watch the film today, however, and none of that shows; all you see is the Floozy stealing every scene from right under the nose of the Great Actor. The classic musical about two gold-diggers, played by MM and Jane Russell. Some fine setpieces including the career-defining "Diamonds are a Girl's Best Friends" and quite a few breezy comic scenes. However, it’s difficult today to see why this was her vehicle to stardom: most people now prefer Russell’s knowing performance as MM’s wisecracking friend. And she was a brunette. MM’s first attempt at being a "serious actor" – by toning down the make-up to appear unglamorous for her role as a melancholy saloon singer, and more importantly, by turning in a thoughtful, poignant performance. Unfortunately, it still isn’t among her most widely seen films. P.S. I always thought MM was devoid of mystery thanks to all the hype, but one time I found her genuinely alluring was in that small role in Monkey Business. It’s an avowedly silly film and has dated in some obvious ways, but I recommend it to anyone who likes any or all of the following: Cary Grant; Ginger Rogers; screwball comedies; chimpanzees; and of course, Marilyn. She was a terrible actress though. Still, she got most of what she wanted - Fame, basically. I could take MM's and Mallika Sherawat's name in the same breath without feeling a pinch at all. I think they should make a movie on MS as well - I guess it woulda been more exciting for producers had she been a psycho insecure drug addict. She was a terrible actress though. Nope, not true. Watch Some Like it Hot and Bus Stop and even The Misfits - slightly pretentious though that one is. Also, I seriously doubt she "got most of what she wanted" - who ever does anyway? Just read a review of the new Bette Davis biography in NYT, and you have this up here! Jai: Some Like it Hot? Really? Over Seven Year Itch? I have to admit I was too busy paying attention to Lemmon and Curtis in Some Like it Hot to really notice MM. Oh, and to Venkat's comment, today's NY Times also has a tribute to Catherine Deneuve. Good stuff. I'm not a big Deneuve fan, but I have to admit the list of director's she's worked with is stunning - Bunuel, Polanski, Truffaut, Rappeneau and Melville. Venkat: as a big fan of 1930s Hollywood, I find it heartening that Bette Davis biographies are still being written. Falstaff: well yes, Seven-Year Itch is certainly a purer example of a Monroe film than Some Like it Hot (which was a Billy Wilder classic before it was anything else). But I still think she was better in the latter - it's just that she was surrounded by so much more talent in the acting, writing and directing departments. Used to be a Deneuve fan (especially the early stuff like Repulsion) but not so much now. Jai: True. Though the writing and direction in Seven Year Itch is hardly less brilliant. I'm probably biased. The thing is, I never figured out what all the fuss about MM was (I still don't see that she was particularly attractive, for instance - it's not a look I go for), until I watched Seven Year Itch and saw how much of the MM act was self-parody. The wide-eyed cluelessness, the naif sexiness - you have to be fiendishly clever to make that both utterly convincing and utterly laughable. In his comment, YTC compares MM to Mallika Sherawat - I know of Ms. Sherawat only by hearsay, but I think there's no comparison because Ms. Sherawat takes herself very seriously while Marilyn's screen persona usually doesn't. MM's sexiness is a cliche, but MM is secure enough about the way she looks to have fun with the cliche, usually at other people's expense. One of the joys of watching MM play Marilyn (in Seven Year Itch, in Some Like it Hot) is knowing that she gets the joke. Absolutely. I don't go for the MM look myself - like I said, she was always too overexposed (in two senses) for my liking. Given the nature of her iconography, I don't think that it's possible for men of our age to find her hot in an accessible way. But yes, the self-parodying is something a lot of people haven't cottoned on to - and it's especially poignant when seen in light of her desperate race against the clock to develop a serious actress side (studying the Method, etc) in her last 2-3 years. And no comparison with M Sherawat at all - not just because of the too-serious thing but also because Marilyn was one hell of a lot sexier than MS can ever be (and I can say this even "objectively" - despite never having drooled over MM myself). Btw I saw Seven Year Itch when I was a youngling and it's possible that I took some of it at face value when the intention was parody.